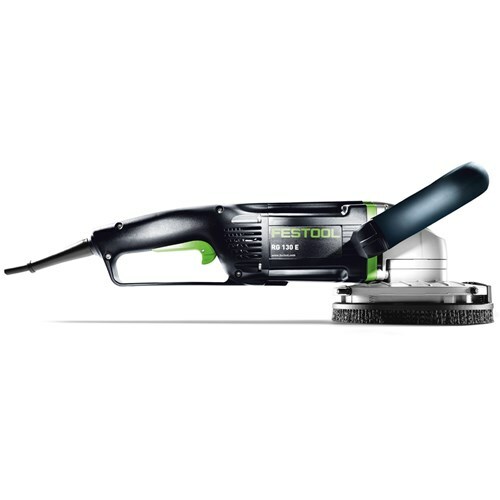 The Festool RG 130mm Diamond Grinder is a tool designed for hard work, taking off concrete, screed and coatings on hard sublayers with ease due to the combination of speed and diamond discs. When using with a Festool dust extractor, the patented extraction coil provides extremely efficient extraction. Vibration is dampened ensuring less fatigue for the user, with the handle being adjustable to suit the individual’s preference for use, making this tool ideal for larger areas. The grinder is covered by Festool's comprehensive 3-year warranty.